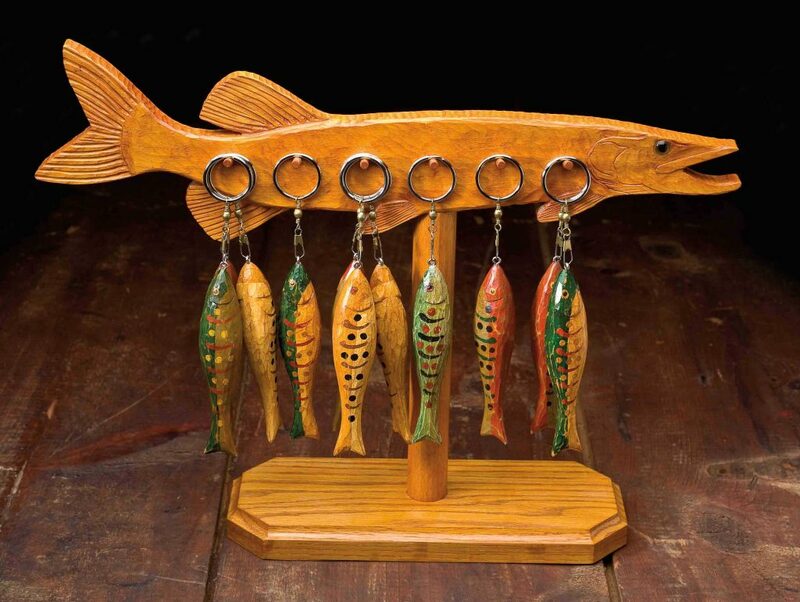 Create a matching keychain holder for all of your carved fish keychains. 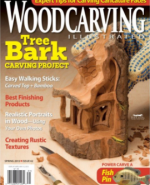 In the Woodcarving Illustrated Summer 2013 (Issue 63), John Reichling demonstrated how to carve a folk-art fish keychain. He also provided this keychain holder. 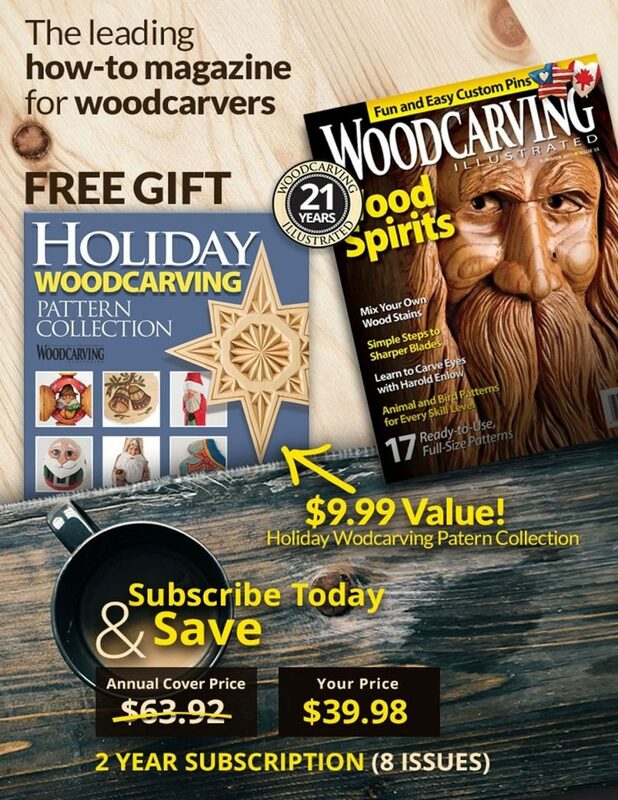 To make the holder, cut the outline of the design and carve as many details as you’d like. Drill 1/4″ (6mm)-diameter holes where indicated and glue short lengths of 1/4″ (6mm)-diameter dowel into the holes to hold the key rings. You can attach a hanger to the back to mount it on the wall, or attach it to a larger dowel attached to a decorative base (like John did). CLICK HERE to download the Keychain Holder Pattern. For more information read Wildlife Carving in Relief by Lora S. Irish. Now revised and expanded with more than 30 stunning patterns for buck, mule, elk and fish. 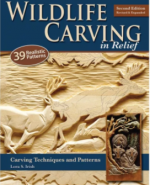 Covers both basic and advanced relief carving techniques, with a step-by-step buffalo portrait demonstration and finishing touches for burning fur and feathers. The book is available for $24.95 plus S&H at www.foxchapelpublishing.com. 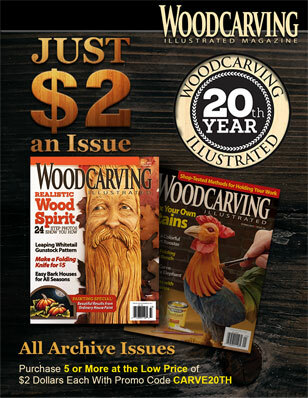 Read the full step-by-step article in Woodcarving Illustrated Spring 2013 (Issue 63).